Rise and shine - 6 am. It's another weekend to get up early and get busy. 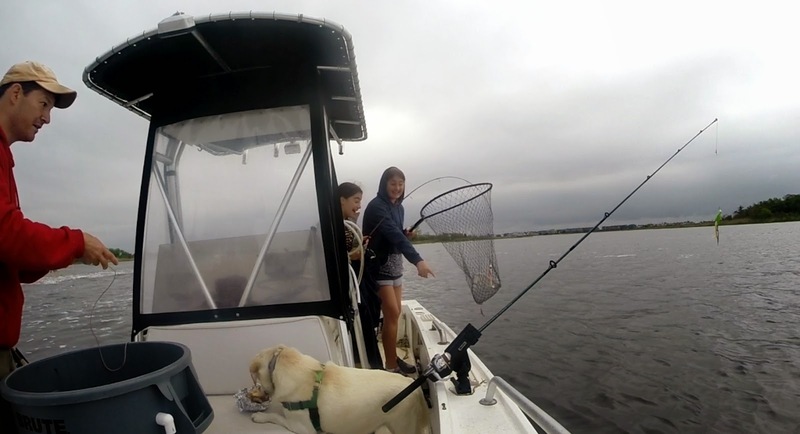 My fishing partners today were Jamie and Corrine. I woke a little earlier than the girls so that I could make them a couple of bacon, egg and cheese bagel sandwiches to bring out on the boat this morning for breakfast. June, the dog, decided to come along on this trip and once again we had a successful outing. I came out on top with the largest fluke measuring 22 inches. Jamie was a close second with 'Stumpy' - a 21 inch fluke with a mangled tail. It was a somewhat slow start but once we found the hot spots we kept pulling fish up and started to fill the live well. Overall we came home with about 8 keepers. 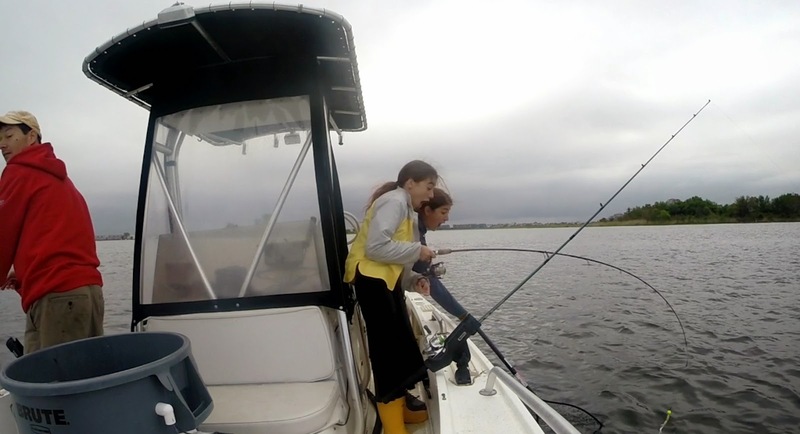 The girls did really well hooking and netting all of their fish. We made a video with the GoPro and I will get around to editing and posting it some day soon. It was a little chilly but the girls stuck it out for several hours. Back at home I had a bunch of fluke waiting to be cleaned from the day before and this new bunch took their place in the ice bath - waiting their turn to be cleaned tomorrow. Now I had a significant amount of fish to last for all of next week as long as I am careful. I even have enough to give some away. I'll probably bring a few down to Lavallette to give to dad. I also cleaned a bluefish today that I am planning on putting on the smoker grill for some bluefish jerky. This was the first bluefish of the season. That's a bit of a surprise but I'm not going to complain about that. I put the cleaned pieces into a zip top bag with a honey and salt brine and in a day or two I will dehydrate and smoke it. We are planning on a trip down to Lavallette tomorrow afternoon to spend some time with the family. This will be a big test of will as I know there is sure to be a lot of food available. I almost don't want to go all together but I think it will be a good challenge for me to try to resist. We'll see.